While some are looking for a place to meet clients, others are just looking for power outlets. Whether you are a remote worker or just looking for somewhere to take your laptop, it can be challenging to find that one place that has it all. 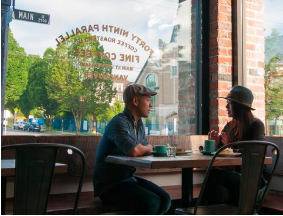 From East Van to the West End, Vancouver has some fantastic coffee shops for remote working and meetings. 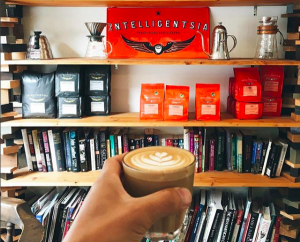 While a few coffee chains exclude telecommuters by removing tables and rationing their wifi, some local coffee connoisseurs have stepped up their game and welcome mobile-desk ninjas with rich flavors, good vibes, and fast internet connections. For hustlers who like bustle too. Whether picky about your coffee or not, being in Nemesis will make you feel like an aficionado while you settle into your daily grind. Try some of the voted ‘Best Coffee Shop’ roasted beans with an order of yogurt & pears. They rep Kendrick Lemar on their PA, nut butter on their toast, and hammered copper and glass jars on their espresso bar. Despite the aesthetic resembling the apple store (although that may be the number of Macs on the tables), Nemesis creates and cultivates a culture for creatives! The window is beautifully dressed with hanging basket chairs. However, we recommend grabbing a table by the wall for an electric socket as you’ll easily spend many hours here enjoying food, juice + coffee. Their bulletproof smoothie will boost productivity and glass shopfront gives you something to look at when you’re not staring at your screen. Relatively quiet during weekdays, but during busy periods you’ll have to ask nicely to sit next to someone in this 20 seat cafe. So, smile and enjoy the neighborhood vibes. 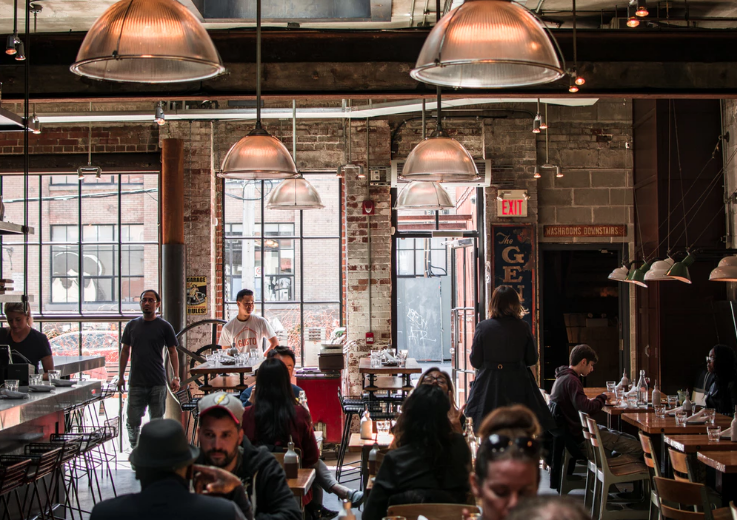 Think of Aperture as your community coffee shop. They offer a helping of awesome perks, including jazz events, book exchange, and a vast seating area. And if you’re looking for more distractions, you’re invited to try out the piano and check out the motorbike they keep inside! An americano costs $4 but arrives deconstructed, for those who like to control the strength. A delicious latte is very affordable at $3.50, so even cash-conscious clientele can relax with a hot drink and a book to pour over. 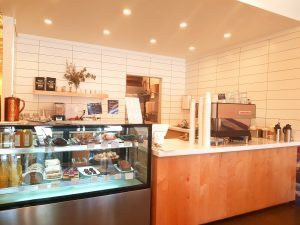 Infamous Vancouver coffee roaster 49th Parallel scores highly on the “We’ve got everything you want” scale at their Mount Pleasant location. There’s a patio that gets a lot of afternoon sun in the Summer and Lucky’s Doughnuts made on site. Their location Downtown is convenient and offers similar tasty fayre, however, make sure your laptop battery is full, there are not any outlets! Another 4th Ave favorite, Corner Cup is a family-owned business that offers sensible portions and sensible prices. You’ll be guaranteed to find a comfy armchair to nestle into while you are tempted to try their extra large cappuccino. Or, if you’re watching what you are spending, they offer yesterday’s banana bread for $2, which is still soft and moist. Bonus! 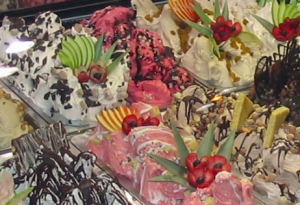 In the Summer, you can find their gelato counter open with at least ten different flavors to taste. If you can, step away from your work and enjoy a delicious cold cone in the grassy park across the road, the perfect place to go when you have a latte on your mind. So, give it a shot, change your sur(g)roundings and get the work done by whatever beans necessary. URGH, enough of these coffee puns, now get to work! Have we missed one? 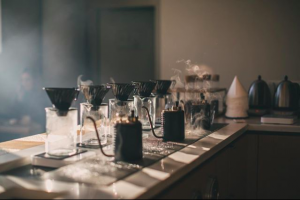 If you have a favorite coffee shop we haven’t mentioned in this list, tell us about it! You can follow us on Twitter, like us on Facebook, connect with us on LinkedIn, or add us on Instagram.